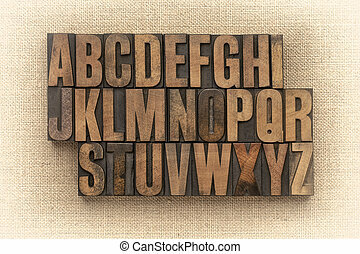 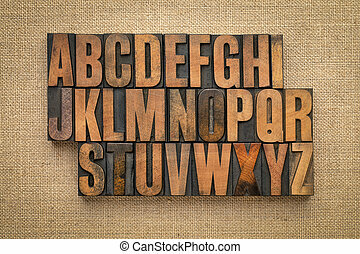 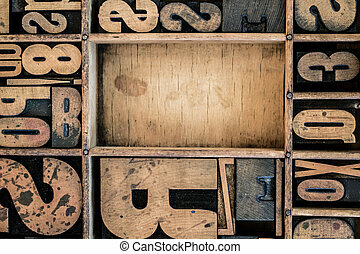 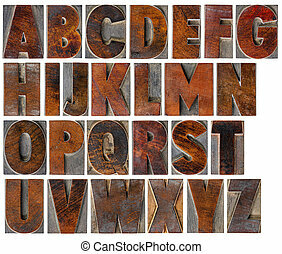 Alphabet in vintage wood type. 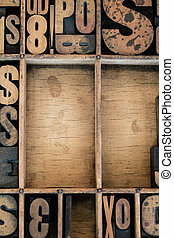 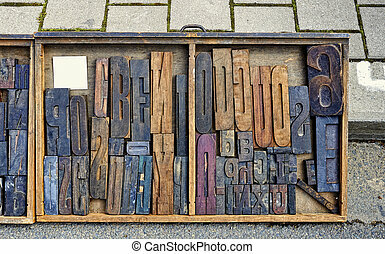 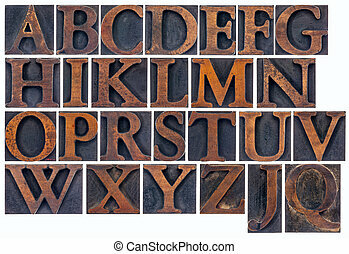 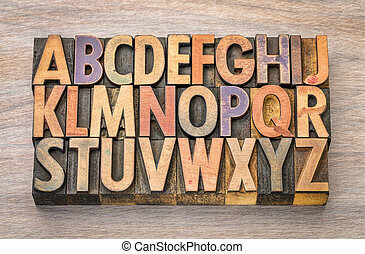 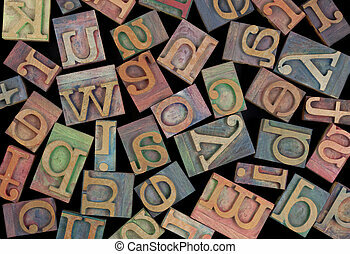 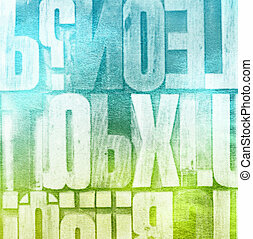 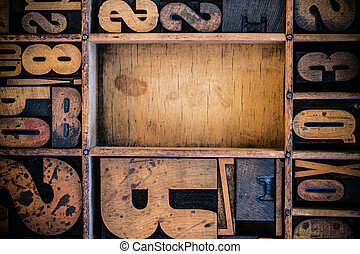 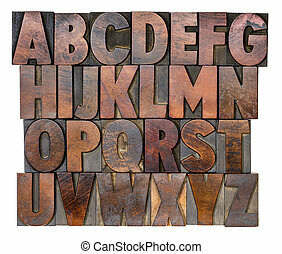 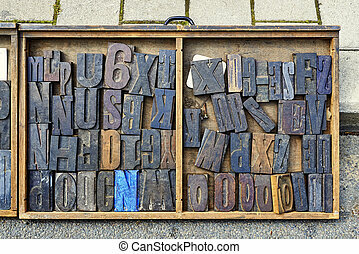 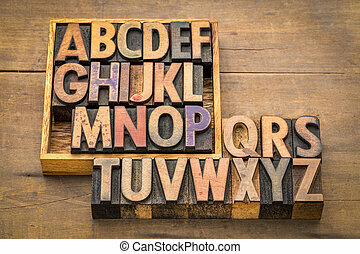 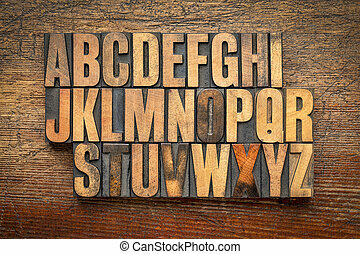 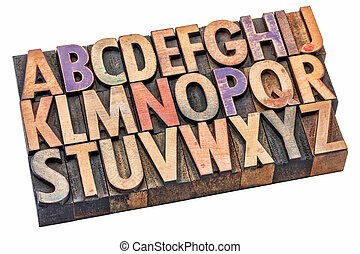 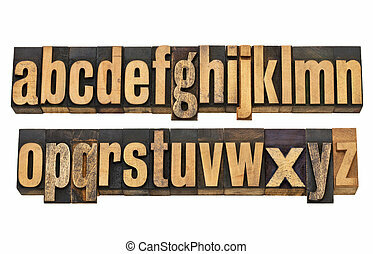 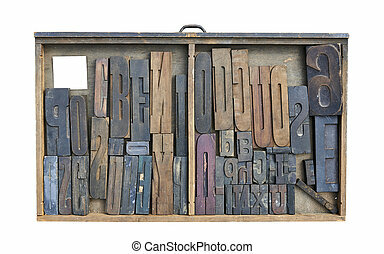 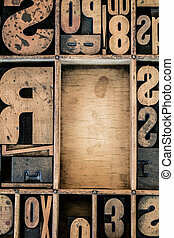 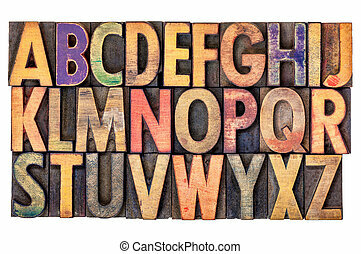 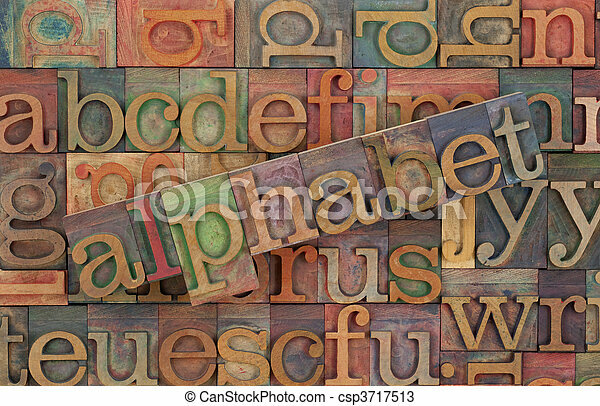 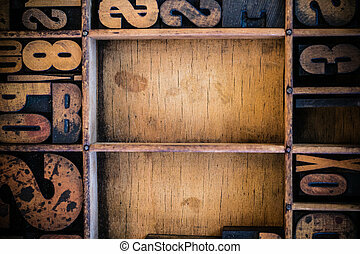 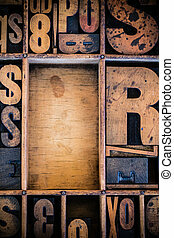 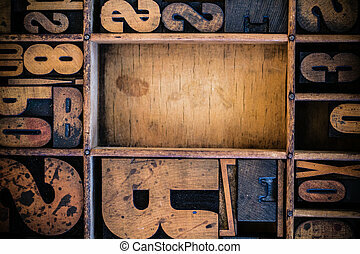 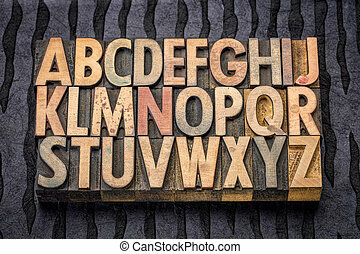 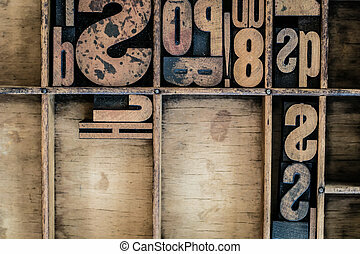 The word of alphabet across a background of vintage wooden letterpress type blocks, stained by color inks. 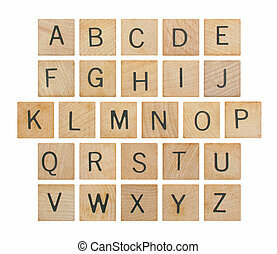 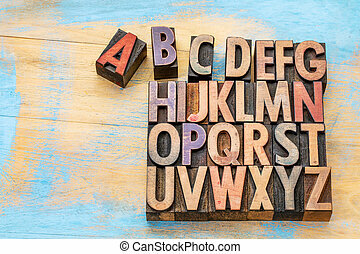 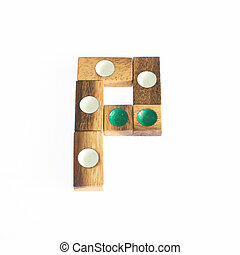 Wood toy in alphabet over white background.